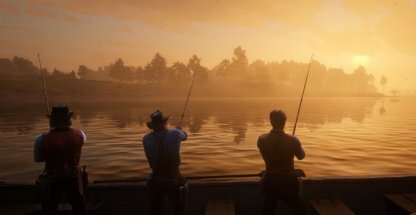 Reel in a big one with these fishing tips and tricks for Red Dead Redemption 2! This guide includes how to fish, the different rods available, and the types of fish available. 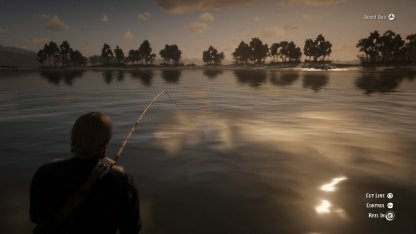 Just like hunting, fishing can be a good source of income. 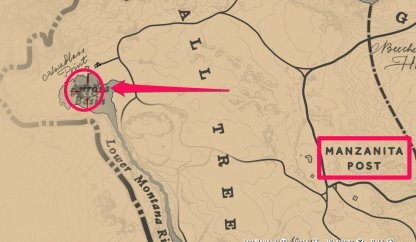 Traders around the map will pay well for fresh fish and materials. 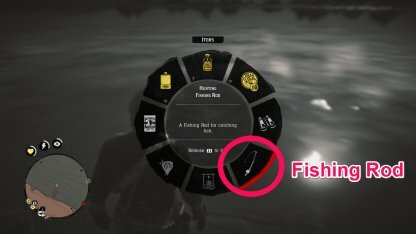 You can get useful materials from the different fish you can find. These materials can be used for crafting different items, like clothing. 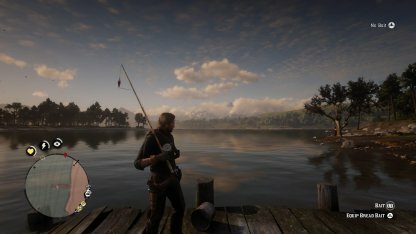 Although you can only have one rod in the game, you can change the bait and lure that you use when fishing. These will affect what kind of fish you can attract with lures attracting larger fish. 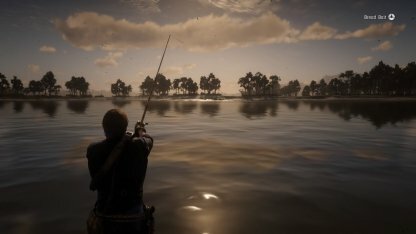 Fishing in Red Dead Redemption 2 can only be done with rods. 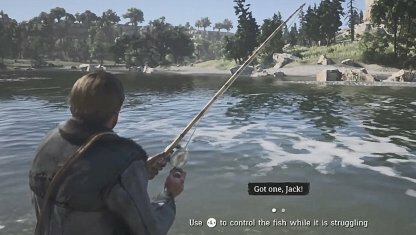 Players will unlock the rod in Chapter 2 - A Fisher of Men Mission where you go fishing with John Marston's son, Jack. Baits & Lures play an important part in attracting fish to your line. 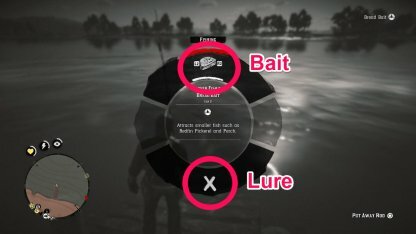 Certain baits with specific lures are required to be able to catch different types of fish in the game. 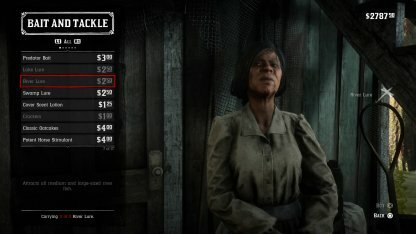 General Goods and Grocery Stores in towns and cities have a selection of baits and lures that players can choose from. 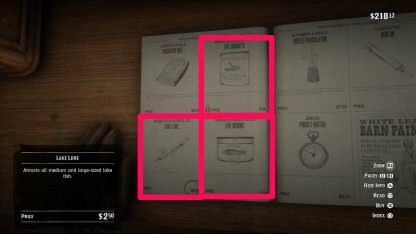 The catalogs will include descriptions of the fish these items can attract.. When fishing from the shore, it's best to throw your line as far as you can to get it to deeper waters. There's less chance of catching anything if you just throw it in shallow waters. Use your Left Joystick to pull the fish in the opposite direction to where it's headed. This will prevent the fish from going farther than where you've already reeled it. The line will break if you keep reeling in a fish when it's struggling. What you should do instead is to brace the rod to keep the line secure then reel it in again once it stops squirming. When fishing, you may not notice other animals keeping an eye on you. Check the water for alligators and your surroundings for other predators to have a safe fishing trip. Bringing in fresh meat will always sell more in shops and traders so make sure to bring in your catch as soon as possible. Meat will start to rot if you keep it for too long. Players can find a wide variety of fish in the game. 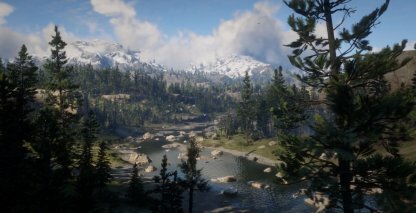 You can find them across most bodies of water including the game's many rivers, lakes and streams. Releasing fish is one of the fastest and easiest ways to raise your Honor. 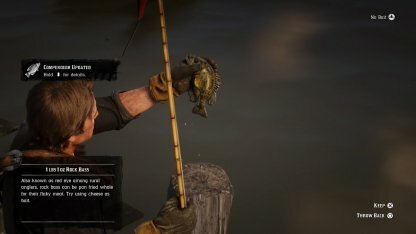 You can choose to release the fish once you reel it in and you see its information on the screen. 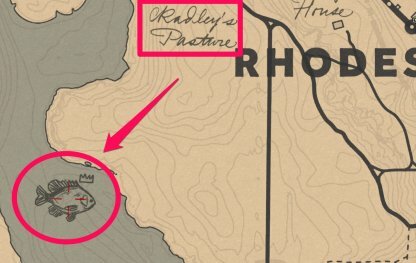 Legendary Bluegill can be found south west of Rhodes, to the south of Clemen's Point. You will need to use a Lake Lure to catch this fish. 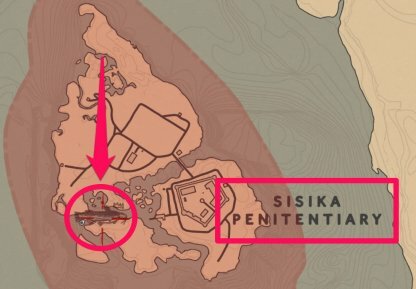 The Bullhead Catfish can be found to the west of the Sisika Penitentiary. You'll need to use a River Lure to draw this one out. 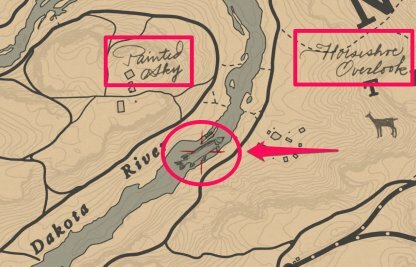 You can fish out the Chain Pickerel in the Dakota River. It's right below Painted Sky and to the west of Horseshoe Overlook. Use a River Lure to catch this fish. 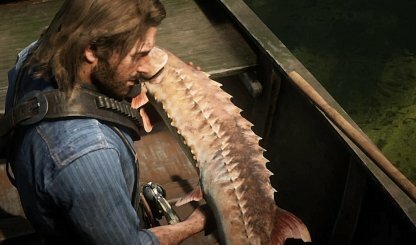 The Large Sturgeon can be fished out of the river in the southwest of St. Denis. 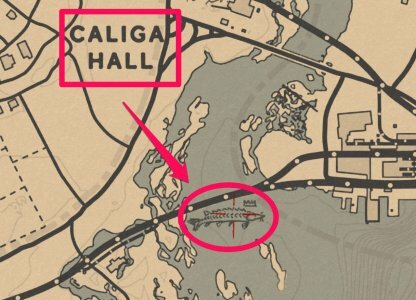 It's also to the South of the Caliga Hall area. Use a River Lure to catch this fish. 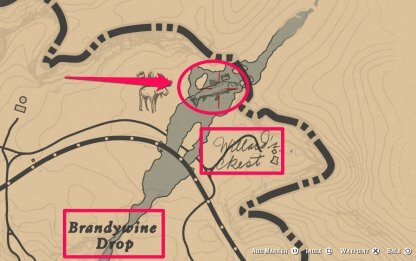 Find the location of the Largemouth Bass in bandito territory. 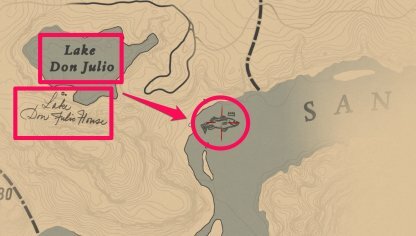 It's in the Armadillo area, to the south east of Lake Don Julio. Use a Lake Lure to grab this fish. 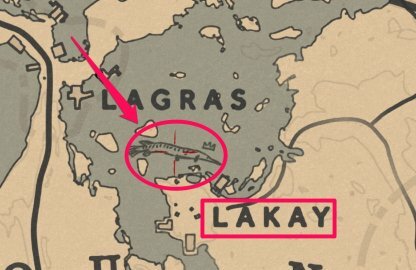 The Longnose Gar can be fished out of Lake Lagras, right above Lakay. Use a Swamp Lure to catch this fish. 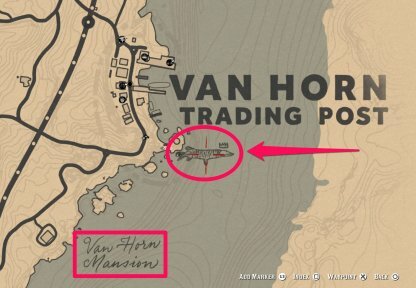 You can spot the location of the Muskie to the south of the piers of Van Horn Trading Post. Check the area around the lighthouse. Use a River Lure to draw this fish out. 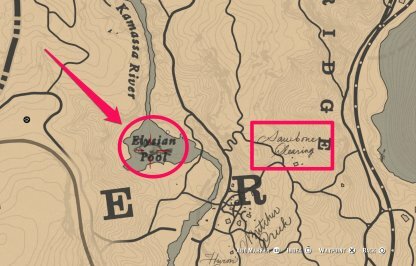 The Perch can be fished out of the Elysian Pool Head northwest of the Van Horn Trading Post, west of the Sawbone Clearing and use the Lake Lure to catch this fish. 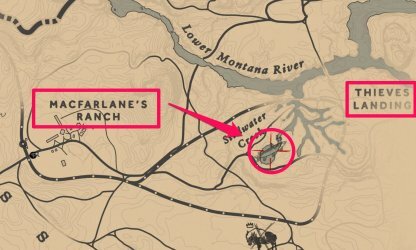 The Redfin Pickerel can be fished out of Stillwater Creek, to the east of Macfarlane's Ranch and west of Thieves Landing. Use a Lake Lure to catch this fish. The Rock Bass can be fished out of the Aurora Basin, it's located to the west of Manzanita Post, near Blackwater. Equip and use a Lake Lure to bait out this fish. 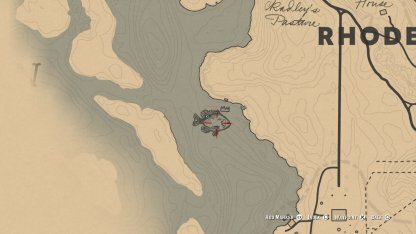 You can fish out the Smallmouth Bass in Owanjila, a lake to the west of Strawberry. Use a Lake Lure to catch this fish. The Sockeye Salmon can be found in Lake Isabelle, it's right to the north of Mount Hagen. Grab a Lake Lure and use it to draw this fish out. 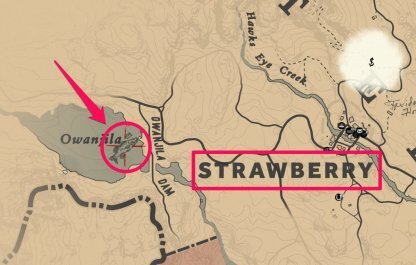 The Steelhead Trout can be fished out of the shallows north of Brandywine Drop and Willard's Rest. Use a River Lure to catch this fish. 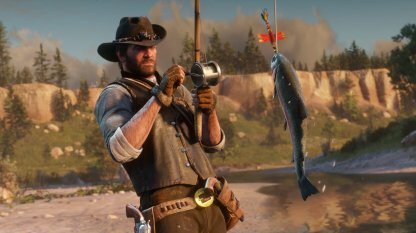 There are 13 Legendary Fish in Red Dead Redemption 2 that you can catch! 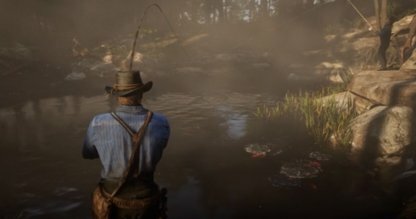 There is only one of each Legendary Fish that can be found in the game so it can be a bit of a challenge to catch them. 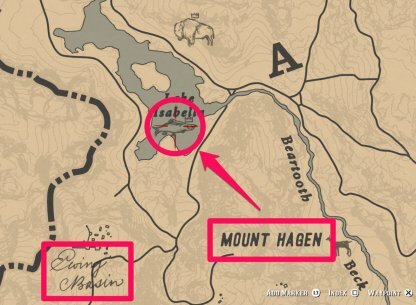 Each Legendary Fish has a specific location where they can only be found. Go near their location for it to be marked on your map. To catch a specific Legendary fish, you need to match your lure with their preference. You may purchase these Special Lures at Bait and Tackle stores for $ 20 each. It's best to always have a Special River, Lake, and Swamp Lure with you before hunting for Legendary fish.